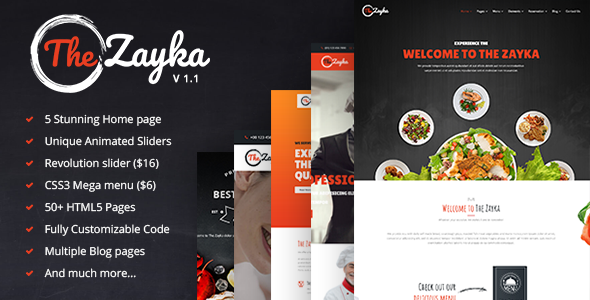 The Zayka is a premium HTML5 template, designed for Restaurant, Food & Cafe websites. Easy to use clean and premium design & customize code quality, responsive template, creative sliders, flexibility, tons of premade pages, shortcodes, Multiple portfolio options, Multiple blog options – these are the outstanding features and quality to make us stand out from the crowd. 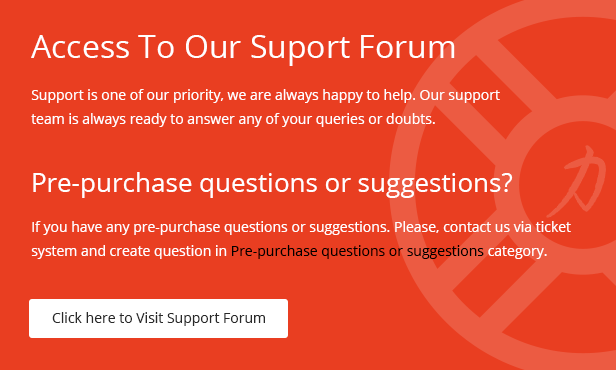 Thanks for checking out The Zayka!